The time it takes to soak wheat berries doesn't justify the time it saves when cooking them. Soaking wheat berries for about 10 hours -- and changing the water every two or three hours -- cuts cooking time by about one-third, or only 10 minutes. If saving time when cooking grains is important to you, though, you can always opt for a pressure cooker over a saucepan to cut the cooking time by about two-thirds. Some wheat berries cook faster than others. Hard red winter and soft white varieties take about 30 minutes, whereas as bronze chief spring red and hard white prairie gold varieties take about 45 minutes. Pick through the wheat berries and discard any with discoloration or damage. Rinse the wheat berries in a mesh strainer until the water runs clear, about 2 or 3 minutes. Add the wheat berries to a saucepan followed by three times as much water or stock. Season the cooking liquid to taste with salt. Bring the cooking liquid to a boil on the stove and reduce the heat until it simmers. Place a folded kitchen towel on the saucepan and place the lid on top of it. Cook hard red winter and soft white wheat berries for 30 minutes and take a few out to taste; cook bronze chief spring red and hard white prairie gold wheat berries for about 45 minutes, then taste. The berries should have a tender but toothsome bite; a bit chewy but without a hard center. Drain the wheat berries in a strainer and transfer them to a mixing bowl. Season the berries with olive oil and fresh herbs, if desired, and serve immediately. 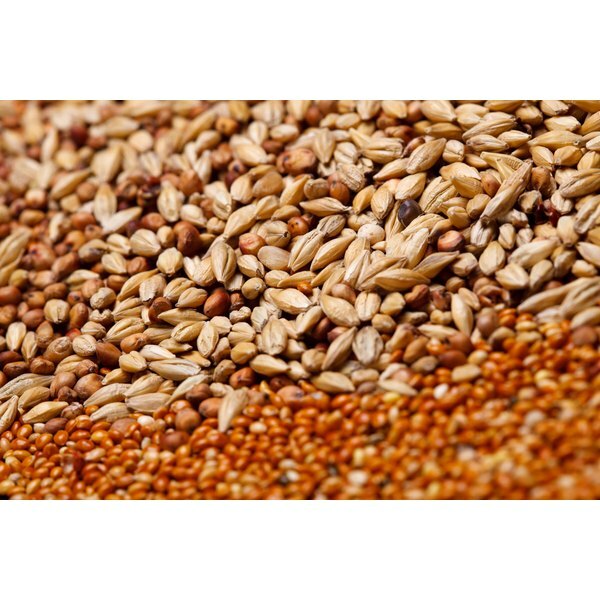 Examine the wheat berries and toss out any with discoloration or damage. Rinse the wheat berries in a strainer until the water runs clear. Add the wheat berries to the pressure cooker along with three times as much water or stock. Season the cooking liquid with a pinch of salt. Secure the lid on the cooker and place it on the stove over high heat. When the pressure weight, or jiggler, in the pressure valve starts rattling, lower the heat to medium. Cook hard red winter and soft white wheat berries for 7 minutes and take a few out to taste; cook bronze chief spring red and hard white prairie gold wheat berries for about 15 minutes, then taste. The berries should have a tender but toothsome bite, almost like al-dente paste. Drain the wheat berries in a strainer and transfer them to a mixing bowl. Season and garnish the berries as desired and serve immediately. Toast the wheat berries on a rimmed baking sheet for 10 minutes in a 350-degree Fahrenheit oven for a nutty, roasted flavor. Consider adding dried fruit, nuts and fresh farmer's cheese to the warm wheat berries for textural and flavor contrasts.